I have been so excited about sharing this giveaway with you!! I LOVE Etsy and Etsy Shops. One of my new very favorite Etsy shops, wild sprout design, has graciously offered to share their incredible products with you! Wild Sprout Design is a custom based shop, where I will work with you to help design your ideal bag at an affordable price. The listing's I have are all made to order and such can be changed to fit your needs. I bargain shop for the best deals on fabric and hardware to keep my prices low! The shop owner, Lisa, is wonderful and easy to work with. 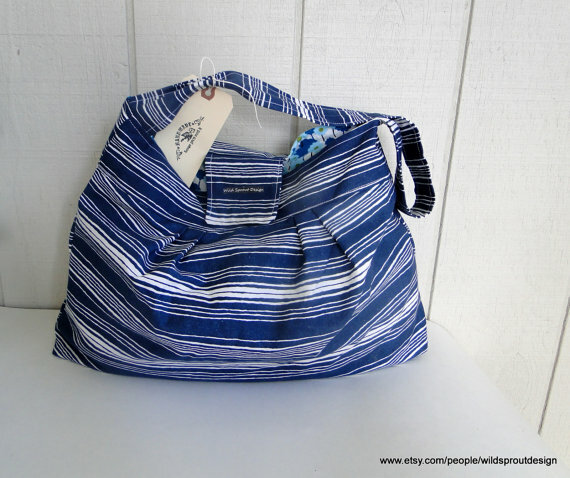 She has absolutely adorable things ~ hobo bags, cross body bags, shoulder bags, clutch bags and messenger bags. I really just loved them all! Lisa sent me a beautiful bag that she makes ~ The quality is wonderful! Lisa sent me a Canvas Shoulder Bag that is AMAZING!! If you haven’t shopped with wild sprout design – you definitely need to. Here are some photos of some of her fabulous products! Not only are you finding a new fabulous etsy shop, but she is also giving a bag away to one lucky "Mommy's Moments" reader!! You can find wild sprout design on FACEBOOK, TWITTER & ETSY! Awesome Site! I love Etsy! 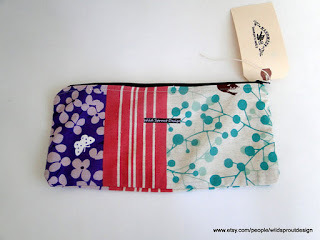 I love the Cross Body Bag, Japanese Canvas Print! I like the black and white travel bag! I really like the Purse/Diaper Combination Bag - Alice Kennedy Swirling leaves. I love the look of the Echino bag. 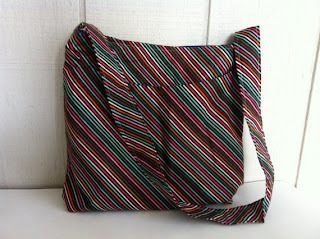 I love the Pleated Shoulder Bag - Vintage cotton print. Oooooh I love the : Pleated Simple Shoulder Bag, Shoulder Bag - Laura Gunn - Large! I like the Hobo Shoulder Bag in the Amy Butler fabric. My daughter in-law would adore the Simple Shoulder Bag, Upcycled fabric, One of a Kind. The red Japanese canvas bag is gorgeous! I love these bags! 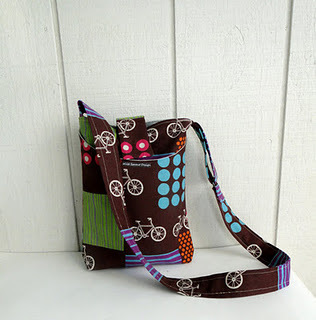 As a nanny I'm always looking for functional yet cute bags to store all those sippy cups and crayons in! 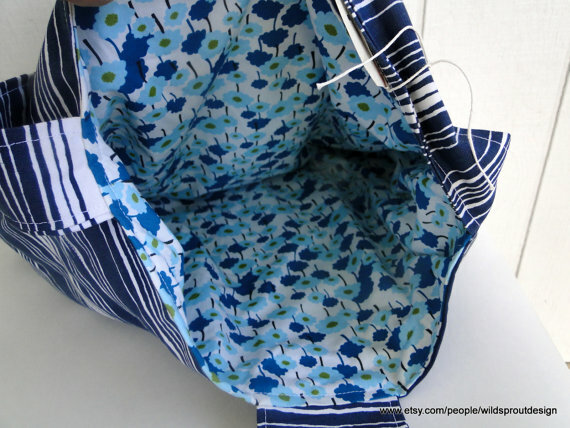 My dream would be something as beautiful as the patchwork shoulder bag, but I really love the black and white diaper bag with the outside zipper. So cute on the outside and functional inside! I LOVE the Echino Bag, it is SO cute. And my daughter would go crazy over it, she just nmight steal it from me - she's 5! I like the pleated shoulder bag tisha and cream! I also like the Mother Earth Love pleated shoulder bag with the adjustable strap. That's a cute print and I like the way the straps are done. These bags are so neat! I love all of them! It was so hard to pick one! I love the "patchwork story in orange" bag!! I love the patchwork orange too ~!! I also like the gallery fiori cross body bag. I absolutely love the Pleated Shoulder Bag - Joel Dewberry Black Damask! I love the Hobo Shoulder Bag in black! Love the Magnolia Lane Hobo bag. The Hobo bags are cute! I like the Fabric Zippered Pouch, Cream and Mellow Green and white...super cute, would make a great makeup bag! I love the Canvas Shoulder Bag! I like the "Funky Fossil Bag". I love the black hobo bag! These bags are adorable! I really like the colors of handmade clutch bags that you shown above, your work is really fantastic.